The firm’s founder chose this particular alpine environment for herb production because the soil in this area has never been suitable for intensive cereal farming. The area is therefore an obvious choice for organic cultivation. Thanks to the active participation of the mountain farmers – and above all thanks to their hard-earned, specialist skills as they steadily increase the size and scope of their herb gardens – aromatic herbs are now grown at altitudes of up to 1400 metres (4200 feet). By encouraging herb cultivation in the mountainous regions of the country, we are able not only to offer our mountain farmers an extra source of income, but we also make a contribution on a national scale to the upkeep and maintenance of the alpine area. 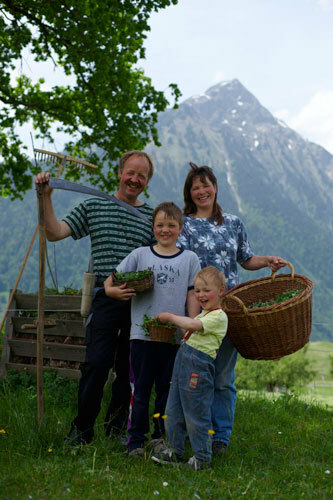 At the foot of the Niesen mountain lies the Wäfler family’s organic farm. Agnes Wäfler, a qualified horticulturalist who loves her work, has been cultivating her fragrant herbs since 1994. “It’s handy having the field right next to the house. That gives me flexibility and allows me to check on the herbs quickly between household chores. 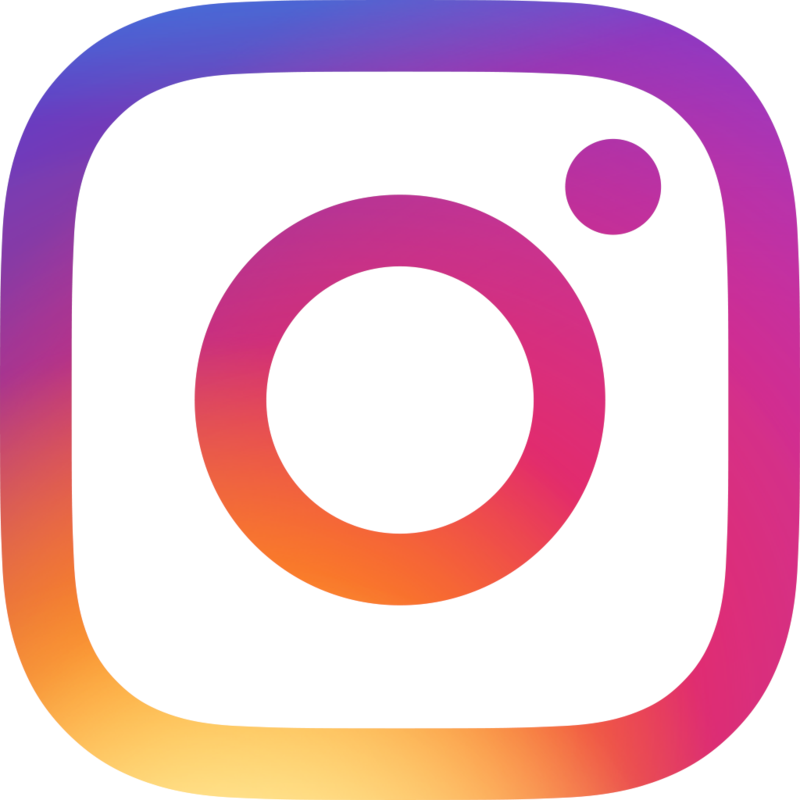 It also means that the kids always know where I am,” she says. 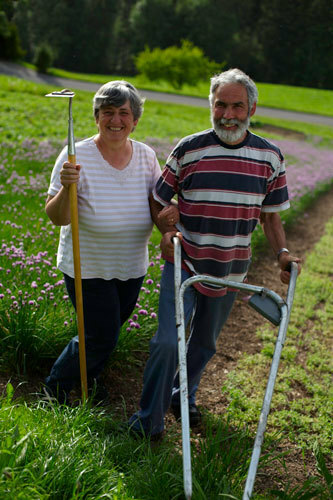 The passionate herb farmer is supported by her whole family, who help with everything from weeding to harvesting the herbs. Sometimes her neighbours join in, too, which provides a good opportunity for a friendly chat. And her tireless helpers are surprised to find that this work is almost as relaxing as a holiday as they soak up the spectacular views across the gently rolling hills and the deep blue waters of Lake Thun – not forgetting the fresh, clean air, heady with the scent of essential oils emanating from the herbs. Chives, lovage, oregano and bergamot: this is just a selection of the plants that are bathed in intense sunlight on the steep slopes of the Kunz family farm. In the summer, the sun shines right down on the herbs all day long and often captivates the locals as it goes down in a breathtaking sunset against the peerless backdrop of the Stockhorn. The family has been growing herbs here for years, and Hanni Kunz adores working with plants – so much so, in fact, that she studied horticulture. She now devotes this expertise to the fine herbs on the farm. Sometimes, on a lazy summer evening, the sounds of an Alpine horn echo through the valley when Walter Kunz downs tools for the day and turns his attention to his music. Could this be the secret of the herbs’ wonderful flavour? 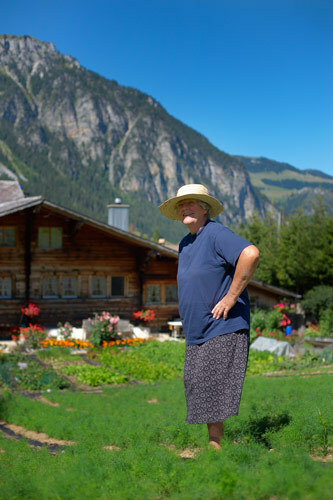 Maria Erb is a widow and lives with her son Christian in a nice old farmhouse in Schwenden at the upper end of the Diemtig valley, 1,250 m above sea level. Christian works as a plumber in the valley. The farm’s alpine meadows are still tended, their hay still baled. 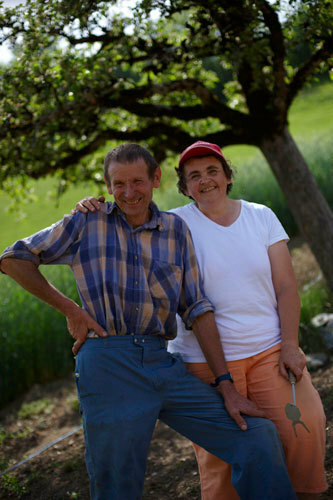 Since 1993, Maria Erb has also been growing herbs on three parcels of land totalling 600 m2. Tarragon and oregano are among her staple crops. Savoury and dill have been added to the list more recently. Weather permitting, she begins sowing the different varieties from mid-May onwards. The most important task after this is weeding. When the herbs have developed their full aroma, it’s time for Maria Erb to harvest them. The sweet-smelling harvest is taken while still fresh to Därstetten, where it is handed over to be processed into premium herb mixes and seasoning blends for use in cooking.